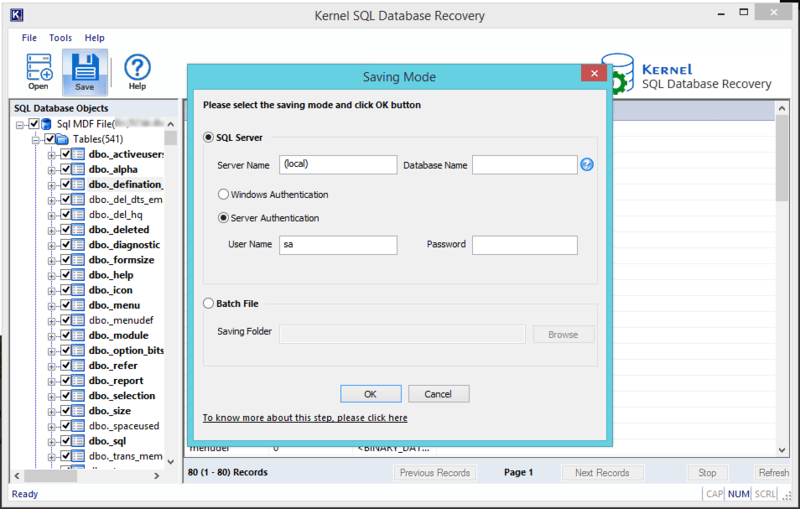 How to Repair MDF File from Corrupt SQL Database Files? How to Repair MDF File? Database corruption and inaccessibility of MDF files are serious issues faced by SQL administrators. They can affect the business operations and can even lead to revenue loss and reputation damage. 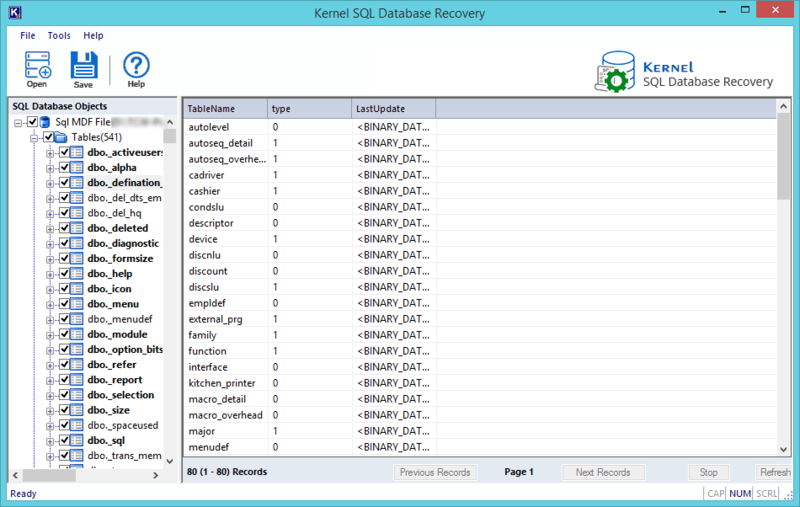 So here we discuss the reasons behind SQL database corruption and common ways to repair MDF files. MDF files of SQL database are prone to corruption. And there can be many reasons for the corruption of MDF files. They include hardware faults and issues with disks, subsystems, drivers, controllers, CPU or memory module. Software bugs, usage of older versions of Windows OS or SQL, keeping data or backups in compressed folders, non-exclusion of MDF files from anti-virus scanning, etc. also can cause SQL issues. It is quiet easy to repair the damaged files. 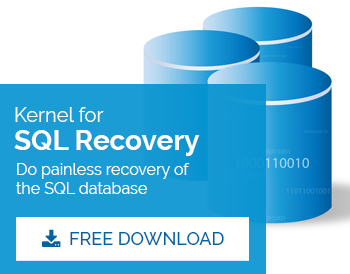 You can either chose to restore the MDF files from the last backup that your system had carried out or chose to execute the inbuilt DBCC CHECKDB command. 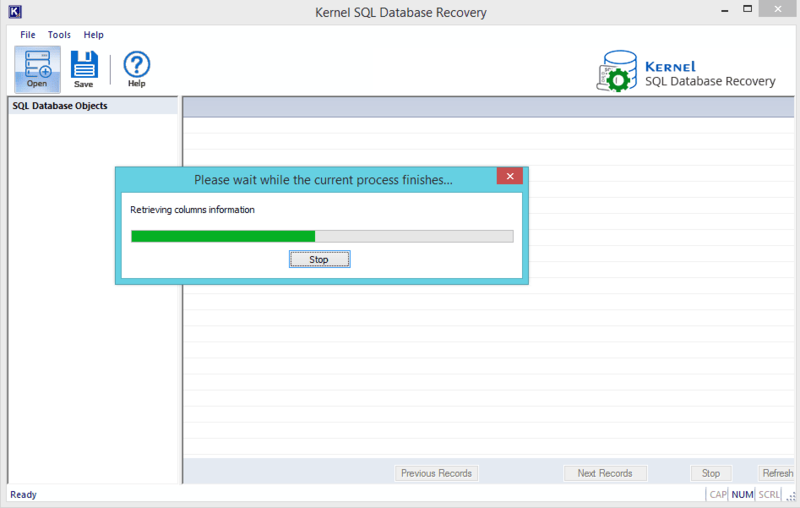 Though it is easy to restore data from backup, backups may not be up-to-date always. So, it is always recommended to fix the corruption issues using DBCC CHECKDB command. And if the repair process is not a complete success, one can rely on professional MDF recovery tools too. We will discuss both the methods here. 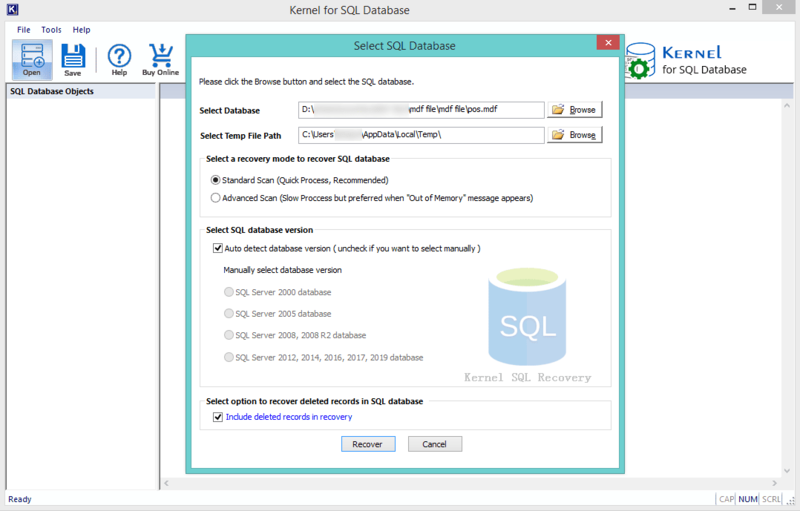 DBCC commands or Database Console Commands (in Transact-SQL) help to check the physical and logical consistency of a Microsoft SQL Server database, and also to fix existing issues. The DBCC CHECKDB command performs functions of three commands, namely DBCC CHECKALLOC, DBCC CHECKCATALOG and DBCC CHECKTABLE, thus avoiding the need to run these commands one by one. How to repair MDF files more easily? 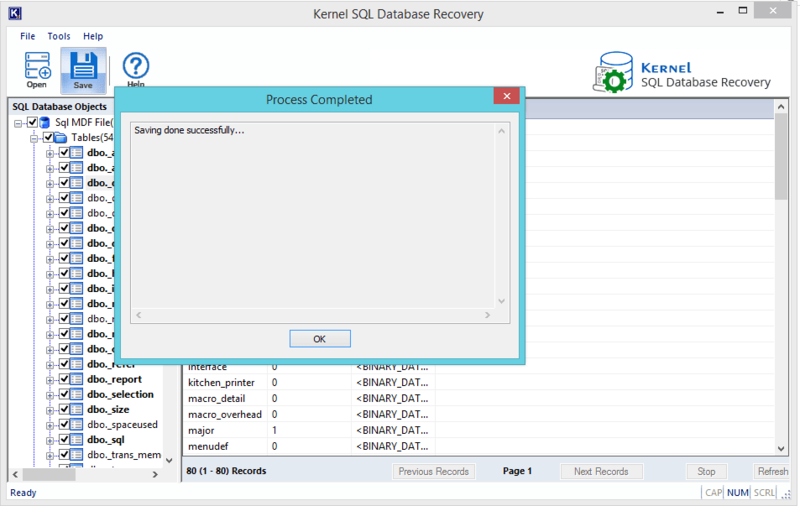 STEP 2: The process will take a few seconds, and once it is done, you’ll be able to see the recovered data on the left pane of the tool. STEP 3: Click on any specific object on the left pane to preview its data before saving it. STEP 5: The saving process will take some time. Once it is complete, a notification window will appear on the screen displaying “Saving done successfully.” Click “OK” to complete the process. This way you can easily recover the corrupt MDF/NDF files without going through the hassles of the manual method.